NYPD via Joe BorelliAkayed Ullah, the suspect in the Monday-morning bombing at a major New York City transit hub. The police have identified the suspect in the Monday-morning attack at a major New York City transit hub as Akayed Ullah, a 27-year-old Brooklyn resident from Bangladesh. Ullah is believed to have carried out a pipe bombing at the crowded transit hub during rush hour. He has been taken to the hospital, with the police saying he is one of only four injured. The police identified the suspect in Monday morning’s New York City bombing as Akayed Ullah, a 27-year-old Brooklyn resident from Bangladesh. Ullah was taken to a hospital for treatment for his injuries, which the police said included burns to his hands and abdomen. The police said just three other people were injured in the attack. Sources told the New York Post that the suspect told investigators he made the explosive device at the electrical company. 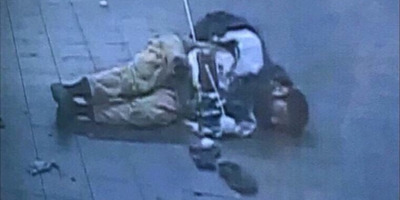 The New York Times reported that the police found Ullah with an intact explosive device, which it said they stripped him to remove. ABC News reported that Ullah had lived in the US for seven years. Ullah was a licensed driver for the New York City Taxi and Limousine Commission from 2012 to 2015, NYC TLC Deputy Commissioner for Public Affairs Allan J. Fromberg told CNN. Ullah was not licensed to drive a NYC yellow taxi, Fromberg said.